Hi! We purchased an ISBN for use with our book, then uploaded the book to Lulu and bought a copy to proof it. (This would seem to be standard procedure for all authors, correct? You want to see an author's proof and make any minor changes before you distribute it.) Well, we've made the minor changes --- most to do with how it aligned on the page after the printing process --- and now we are uploading the new interior pages and cover. We'll probably then get one more copy to proof, and if all looks good there we will begin selling the book. Again, all authors do this print-and-proof process, correct? Well, here is the problem: the website is telling me we can't use the same ISBN number, that it has already been used for a different book. But it hasn't... this is the SAME book. The previous version was never meant for release... it was meant only for proofing purposes. This sounds like you are creating a brand new project instead of revising your current project. When creating a revision to make minor changes, you should not be required to enter ISBN information again, as this is already saved to your published project. 1. You create a brand new project. 2. You make significant changes to any part or parts of a published work, such as adding, moving, or removing blocks of text and/or chapters. 3. You change the title, subtitle, or author name of a previously published work. 7. 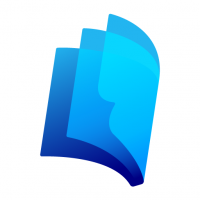 You create and publish an eBook in a different file format. 9. You issue a translated version of your published work. I see that you have created a support case, so I will follow up with you via email to provide further instructions for you to revise your project without changing the ISBN. So... you were going to send me the e-mail with the instructions on how to revise the book without changing the ISBN. I haven't received that e-mail yet. Do you know when it will come? So, on the "My Projects" page, I'm not creating an all-new project. Rather, I click on "Revise" for the project in question. It takes me to a page that says "Revise: [Title of the Book]". I then click on "Create New Revision." It takes me to the page which says, "Choose Your Project Options," and at the top of that same page it says, "Your new edition has been created successfully." (Which is odd, because I didn't create a new "edition." I clicked on new "revision.") The same paper/cover/binding is already highlighted from the previous edition, and so I click "Save & Continue." It then asks me to "Name the Book," which I do. It then takes me to a page asking for the new ISBN. So, yes, by clicking on "Revise," it appears to be taking me to a completely new book. Thanks.... looking forward to hearing from you. It seems as though you did not receive the emailed response sent through your support case. I'll look into this but since it involves your personal account details, I'm going to send you a private message. If you click revise it should take you right back to the very first page of the wizard which shows you the choices of size, type of book, etc. Just click the same choices you made before. Then click next it will take you to the title and author page, just click next and do the same until you see the page that asks you to upload interior. Click the x mark to delete the old file and the upload the new corrected file. Click next until the end and hit save. You should be fine. 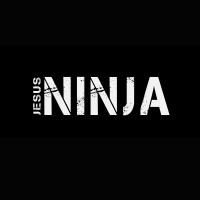 TheJesusNinja, thank you for the response. However, it doesn't solve my problem. After the Title & Author Page, it takes me to the ISBN page. As I indicated above, that's where my problem lies. I click "Add an ISBN you already own," and then insert the information, and it tells me the ISBN is already in use. And it is... for THIS book. So I can go no further. Any ideas? Are you clicking on "Revise"? When you get to the ISBN part the number you're using should be showing up already. Did you buy the ISBN or using the lulu free one? If it's the lulu one, just click that and click next. That one will show up on the next page and let you continue through the wizard. Oh I just noticed above that you said it asks you to name the book, that info should automatically appear when you get to that part. All of the book's info would be showing and not need to be added at all. The only thing changed would be the new revised doc you upload and deleting the old one. I think you're clicking or choosing something wrong somewhere. You shouldn't be having to add any text anywhere since you can't change anything except for the doc while making a revision.